Pantomime . . Oh yes it is . 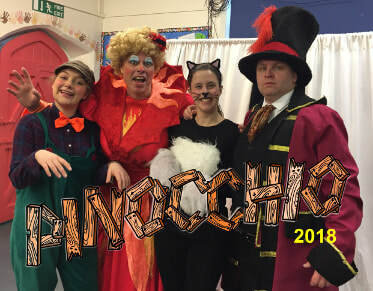 . .
We had a fantastic time touring our 2018 pantomime 'Pinocchio'. Thank you to all the children and staff of the schools we were lucky enough to visit, we hope you had as much fun watching us as we had performing for you. 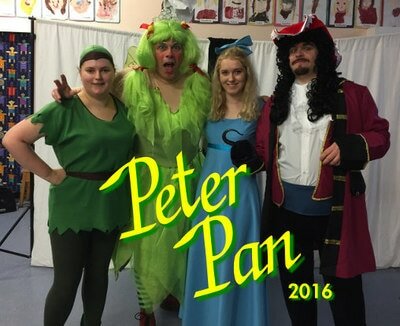 And a big thank you from the 'Red Fairy' to the members of staff who 'helped' her with her puppet dancing, you were great sports and again thanks for joining in with the fun. 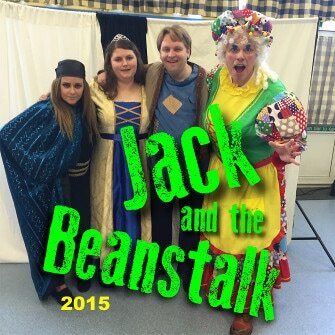 If you would like us to come back to your school or if you missed our pantomime we are taking bookings for December 2019 NOW! 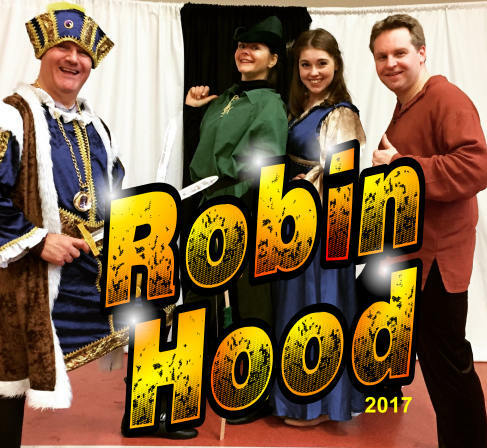 Full of jokes, songs and audience participation aimed at entertaining children of all ages, but especially 5 – 11 year olds. 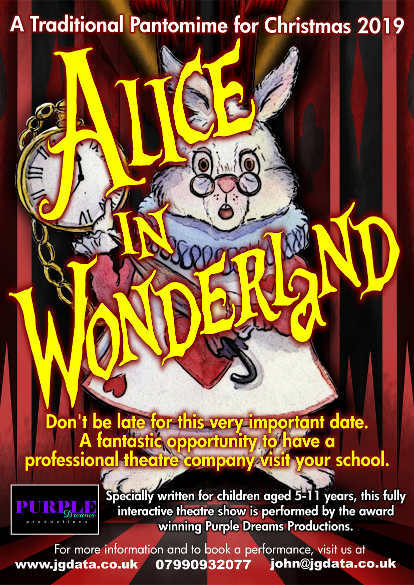 Will Alice find the White Rabbit, will she bump into more strange and unusual characters before the evil Queen of Hearts finds out and banishes her or will the White Rabbit help her outwit the royal baddie and help her safely escape home? 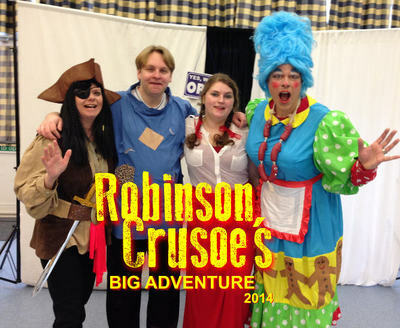 Only one way to find out, join them on their magical adventure, which runs for approximately 60 minutes. The highly skilled actors of the award winning Purple Dreams Productions pull out all the stops to make this an hour of fun, laughter, interaction and song. 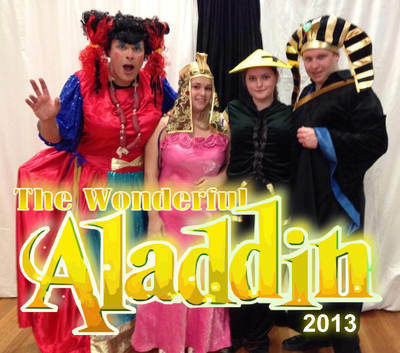 A truly traditional Pantomime. So to avoid disappointment, book now . . .